Enjoy a wonderful riding holiday with your family, far away from mass tourism. You can choose from a wide range of mountain biking, hiking and water sports (diving, kayaking, surfing, water skiing, swimming) and much more. Menorca - a largely undiscovered island, spared from mass tourism, with the most beautiful untouched nature. And here lies the Reitz for our friends of the equestrian sport on this wonderful little island. Here on Menorca a horse breed could develop. Of course there is an excellent offer for the water sports enthusiasts among you and Menorca shines with more than 60 wonderful sandy beaches. Menorca also spoils its guests with its exquisite cuisine and cultural offerings. The island was declared a Biosphere Reserve by UNESCO in 1993. Thanks to the diversity and beauty of nature, mountains, meadows, forests, bays and not forgetting the sea. The "Cami de Cavalles" horse trail, with a length of about 200 kilometres, runs through forests and a unique rocky landscape. 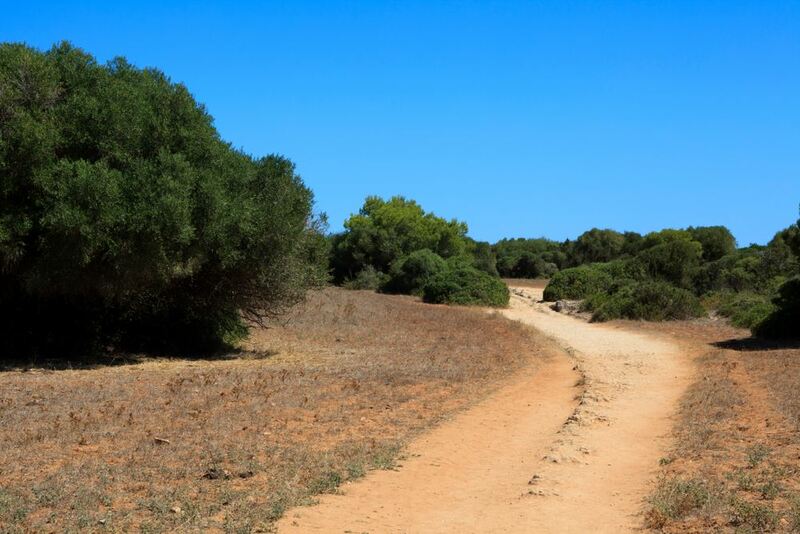 The typical Menorcan vegetation such as pines, holm oaks and olive groves can be admired here and line the riding path. The Menorquiner is a strong black warmblood-horse with a stick-measurement of 155 - until 170 cm. A frugal, resistant and energetic horse which is suitable both as a dressage horse and for driving carriages. The horses have character and are very balanced and despite their slim graceful stature very robust.The Menorcans have always had a special relationship with their horses. Every weekend, trotting races take place on the two racecourses. A Balearic Equestrian Federation has 9 clubs that organise competitions and tournaments in the three main equestrian disciplines. 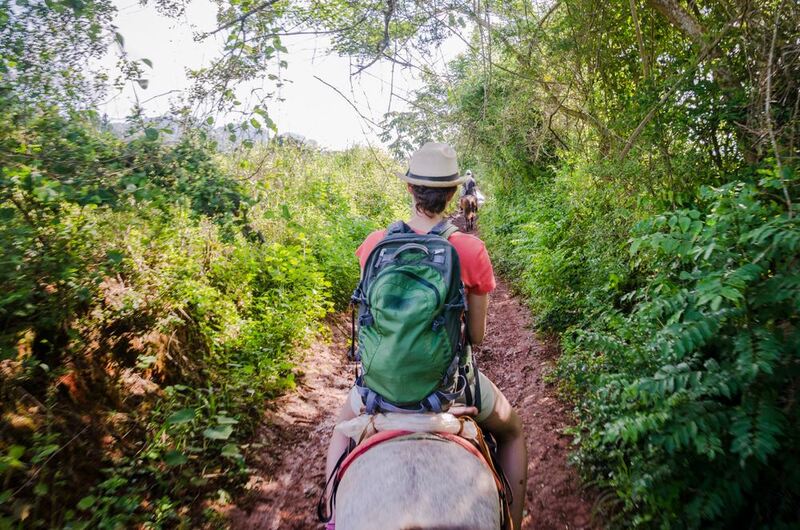 A very special experience for every nature lover is exploring the island on horseback. The island's vegetation covers an area of 19,000 hectares. This area is not used for agriculture. 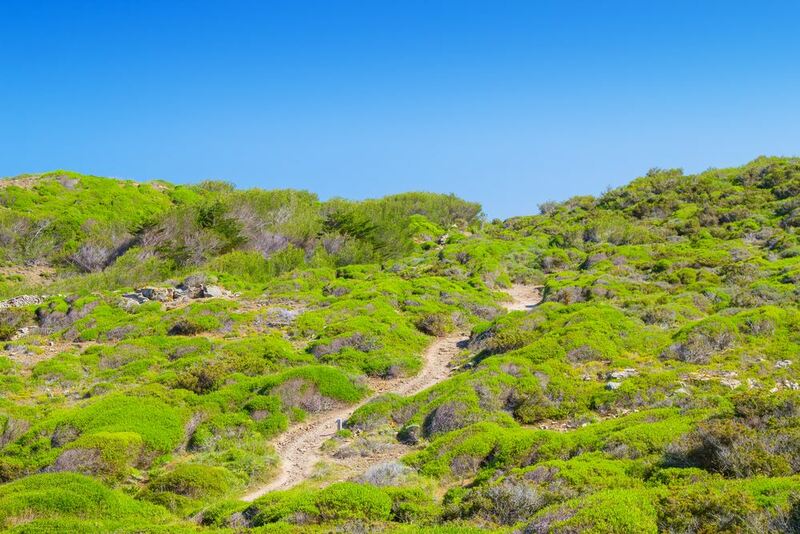 Menorca has three major tree species: holm oaks, pine trees and wild olive trees. A true paradise stretches for about 216 kilometres along the coastline. There are more than 60 beaches on the island which are spread along the coast and represent a big tourist magnet. The beaches, which are mostly south facing, have fine whitish sand and the ones north facing have a slightly coarser reddish sand. A beautiful play of colours to the pure and crystal clear water. 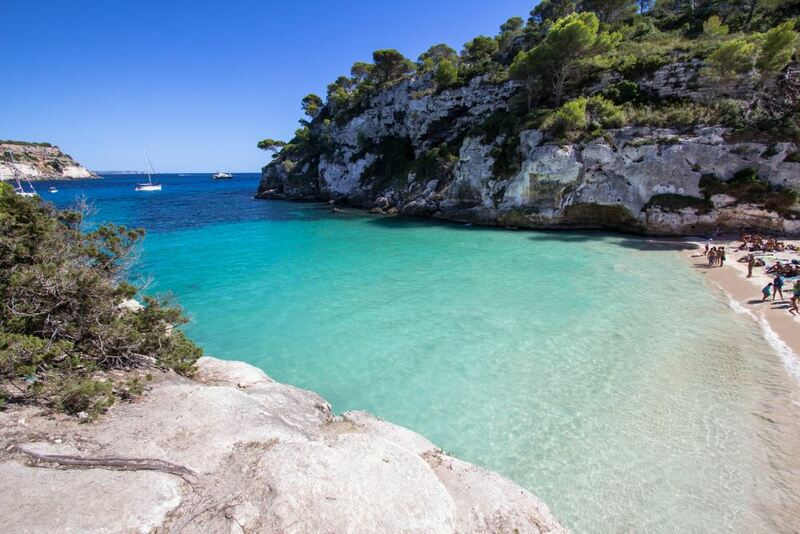 Menorca has been declared a Biosphere Reserve by UNESCO, due to its water and beach quality. At Es Marcadal is this beautiful Finca with riding stable. In a mountainous and wooded area on the northern side of Menorca. The old walls have been used for horse riding since 2002. The old cowshed has been converted into a stable where the horses stay during the day. 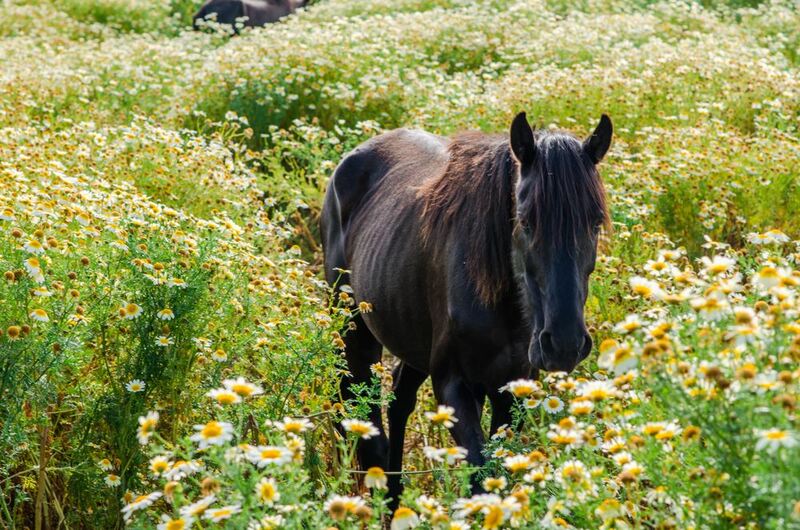 At night all the horses spend time in the green meadows. The other buildings have been converted into a saddle room where all materials are stored. Others are also used as staff accommodation. After riding you can end the day on the cosy roof terrace with a cool drink or snack from the snack bar. A very old riding path dating back to the 17th century (built by the French settler between 1756 and 1763). It was designed as a link between coastal villages and farms. According to a recent law, it can again be used as a riding and footpath to explore this idyllic setting. The first road that leads from Mahon to Cuitadella is the Kanes Way. This road was built at the beginning of the 18th century by the British governors. This road is a quiet alternative in contrast to the main road and leads to Mercadal. The main road leads to the Santa Rita Farm gate, from where the private road continues. The most frequent of the rides are through magical woods, whose special feature is their numerous holm oaks, which reach an impressive size. Santa Rita has some very large and always green holm oaks. In autumn it is worth collecting edible and delicious pilsner in this region. 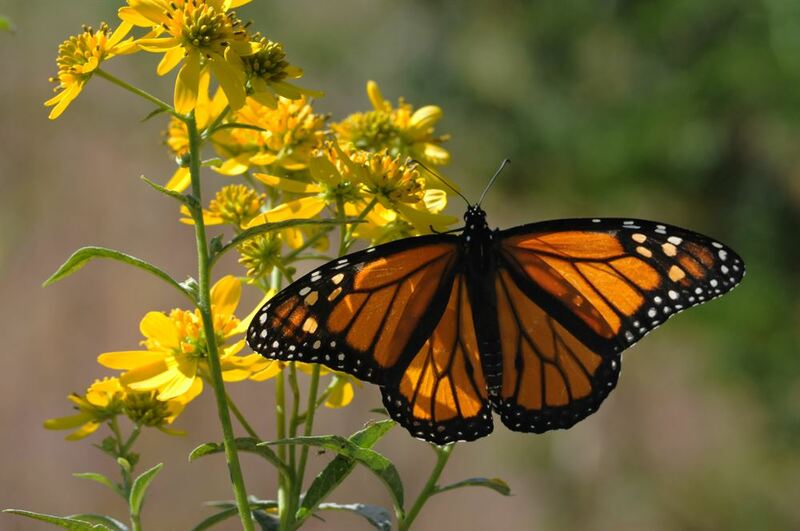 Flowers and birds can also be observed during the warm seasons and from September after the first rain the variety of untouched nature and a variety of butterflies will delight every visitor. Surely you will also find turtles, kestrels, eagles and kite kestrels and you will be able to observe and admire their behaviour. Be part of this experience!